This weekend we fired up the aga to host our first bread-making workshop in our Muswell Hill kitchen showroom. 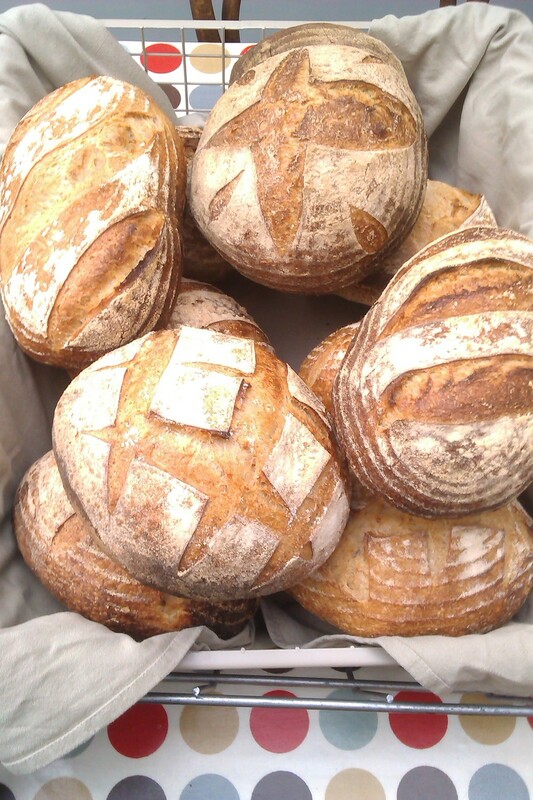 The course provides an intensive, hands-on introduction to the alchemy of sourdough baking. Lawrence Leason our instructor took our small group through the entire bread-making process: how to make and care for your sourdough starter, working with wet and stiff doughs, and guided us in the art of kneading – demonstrating how to gently (much more so then you’d think!) 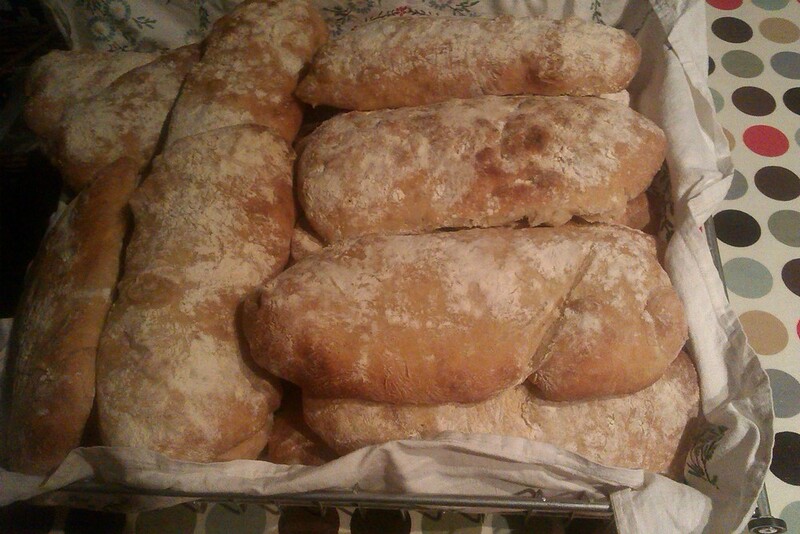 coax the few simple ingredients into beautiful, elastic battards and boules ready for the oven. The course includes a delicious lunch and the chance to sample Lawrence’s ready-made loaves along with some fine cheese, a freshly made soup and a glass or two of wine. Participants leave with a bag of glorious warm loaves (ciabattas and sourdough boules in our case), a bread-makers’ kit (which includes recipe and instruction sheets, proving baskets, scrapers and a pot of sourdough starter), and the ambition to get into some serious baking at home. The small class size and individual instruction make the course perfect for those wanting to explore the fascinating world of sourdough baking. Look out for our next course, coming soon.